A team of Cass Business School MBA students acted as venture capitalists, evaluating real start-ups and interacting with entrepreneurs, during the regional finals of the 2015 Global Venture Capital Investment (VCIC) competition. The Europe North event at Paris’s HEC Business School brought together top VCs, prestigious MBAs and promising start-ups. Cass students competed in one of the 12 regional finals held on three continents. Judges from Orevon, 360 Capital Partners, Suez New Ventures, ERM LCE Fund and BCG assessed the students’ performances. “It was an intense three days from Thursday until Saturday evening. The event was highly practical and it was certainly one of the best experiences I had on the MBA course. 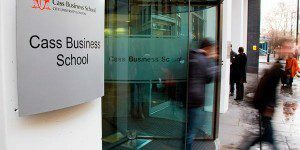 I strongly believe a highly practical Venture Capital elective module at Cass could be developed around the topics we covered on the competition,” said Cass EMBA 2013 student, Jozsef PG-Tibold. VCIC is the world’s largest venture capital competition among top MBA students from more than 70 prestigious business schools. The Cass students – Omid Zadeh (EMBA 2013), Jozsef Tibold (EMBA 2013), Balazs Kaposi (EMBA 2013), Nicola Turi (MEMBA 2013), and Gurpreet Singh (MEMBA 2013) were joined by five teams from several other European business schools. “Given the importance of London as hub for tech start-ups and the prospects of the VC industry, I believe it would be a great opportunity for Cass to host the competition in the future,” said Turi. The winning teams qualified for the Global VCIC Finals in April, which will be hosted by UNC’s Kenan-Flagler Business School. Click here to learn more.